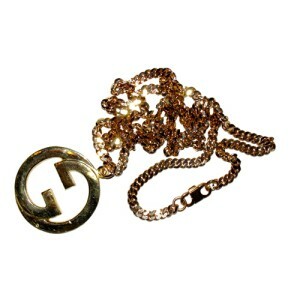 All heavily plated in 18 kt gold. 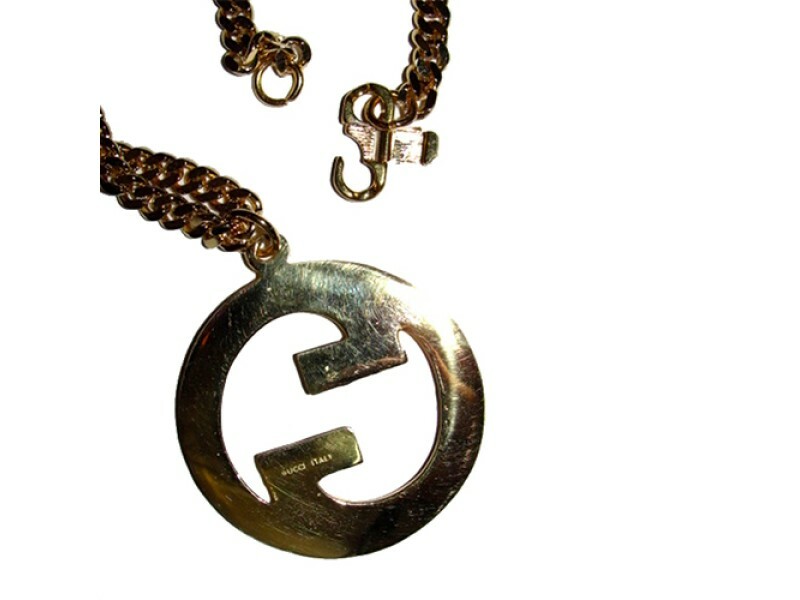 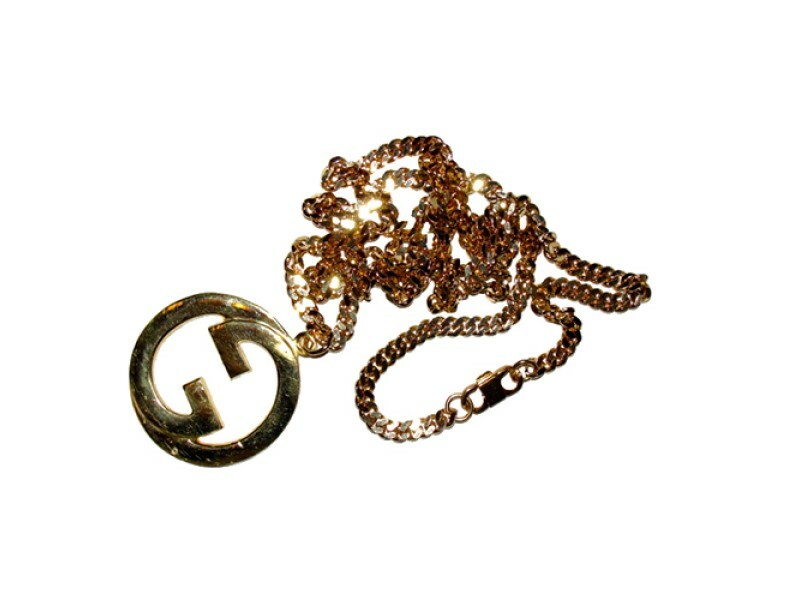 This massive monogrammed Gucci pendant and chain is very rare. 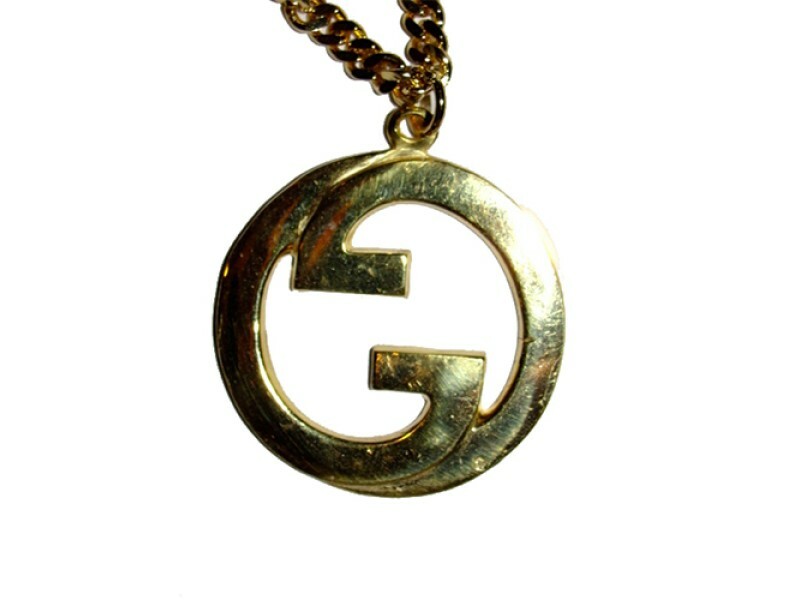 Circular GG medallion measures 2" in diameter. 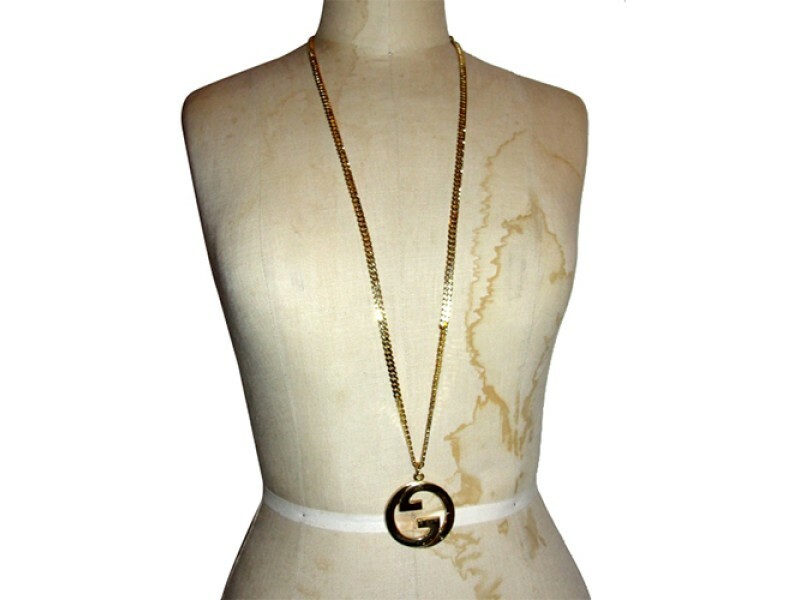 Chain measures 32" by 6 mm's thick. 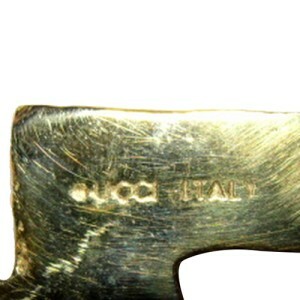 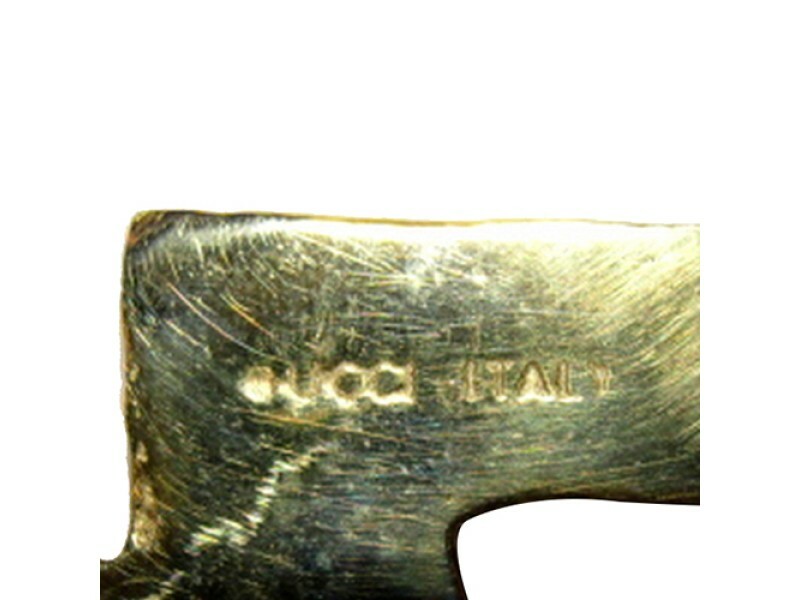 Pendant marked on the back, "Gucci, Italy"
Closes with unique box clasp, perfect working condition. 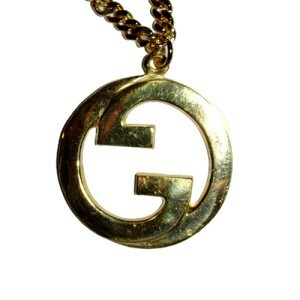 Unisex, but perfect for a guy.